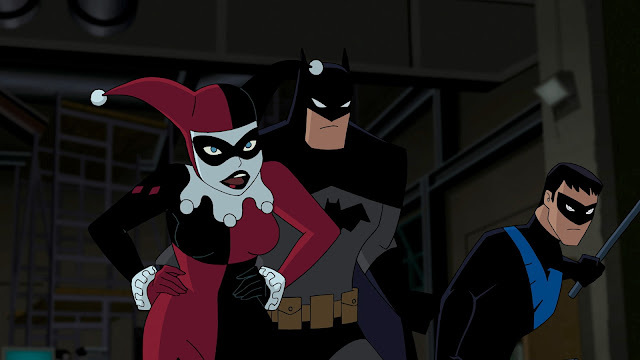 Warner Bros. Studios, DC Entertainment, and Fathom Events have teamed up again to present a special, one-night cinema event for the latest DC Universe Original Movie, “Batman and Harley Quinn,” on August 14, 2017, in movie theaters nationwide. After a successful partnership last year on Batman: The Killing Joke and Batman: Return of the Caped Crusaders, Warner Bros., and Fathom Events are making the upcoming animated feature available to selected movie theaters on the eve of the Digital release and two weeks before the DVD hits stores. The screening will take place Monday, August 14 at 7:30 p.m. through Fathom’s Digital Broadcast Network. Check for tickets and a theater near you on June 30 at www.FathomEvents.com.